Beyond Meat has recently published a Life Cycle Assessment report comparing the environmental impact of the vegan Beyond Burger with its beef counterpart. 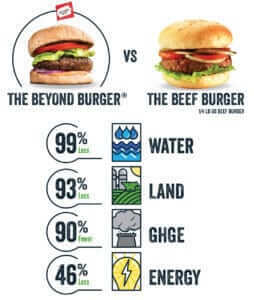 A team of researchers from the Center for Sustainable Resources at the University of Michigan found that the Beyond Burger has a significantly lower environmental impact than a traditional beef burger. The researchers used a 2017 assessment report from the National Cattleman’s Beef Association, and compared it with the life cycle of the Beyond Burger. The results show that replacing beef burgers with Beyond Burgers for one year would mean about 12 million fewer vehicles on the road, and that the power savings could supply an additional 2.3 million households. In direct comparison, the plant-based Beyond Meat patty generates 90 percent fewer greenhouse gas emissions, consumes 46 percent less energy, has a 99 percent lower impact on water scarcity and uses 93 percent less land. The report also highlights the findings of a 2009 report by the Food and Agriculture Organization of the United Nations, according to which global animal agriculture produces more greenhouse gases than the entire transport sector combined. 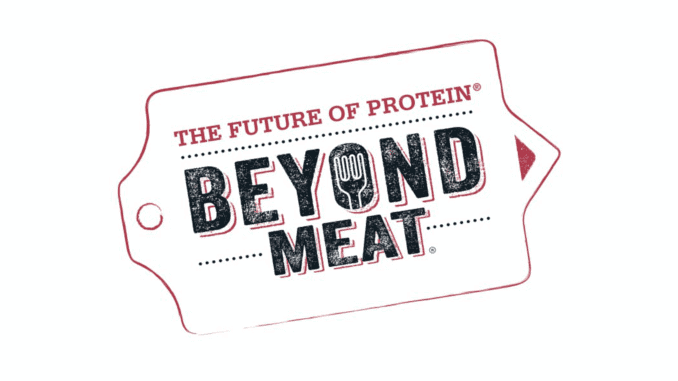 Beyond Meat continues to expand, and is recording steadily growing sales of its innovative products. More news about the company can be found here.